NordForsk is an organisation under the Nordic Council of Ministers that provides funding for and facilitates Nordic cooperation on research and research infrastructure. 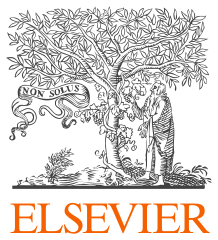 Elsevier provides information and analytics that help institutions and professionals progress science, advance healthcare and improve performance. Elsevier’s Research Intelligence solutions answer the most pressing challenges researchers and research managers face, with innovative solutions that improve an institution’s and individual’s ability to establish, execute and evaluate research strategy and performance.The largest abstract and citation database of peer-reviewed literature, Scopus delivers an overview of the world’s research output. Clarivate Analytics accelerates the pace of innovation by providing trusted insights and analytics to customers around the world, enabling them to discover, protect and commercialize new ideas faster. We own and operate a collection of leading subscription-based services focused on scientific and academic research, patent analytics and regulatory standards, pharmaceutical and biotech intelligence, trademark protection, domain brand protection and intellectual property management. Clarivate Analytics is now an independent company with over 4,000 employees, operating in more than 100 countries and owns well‐known brands that include Web of Science, Cortellis, Derwent, CompuMark, MarkMonitor and Techstreet, among others. Digital Science is a technology company serving the needs of scientific research. We provide software that makes the research process simpler and more efficient so that everyone can work smart and discover more. We believe passionately that tomorrow’s research will be different and better than today’s. Altmetric is a Digital Science company based in London, UK. The Federation of Finnish Learned Societies, established in 1899, is a national co-operative body for learned societies in Finland. It contributes to the co-operation between learned societies, supports and develops scholarly communication and publishing, and promotes awareness and usage of research results. It also supports and develops the role of its members in science policy discussion. 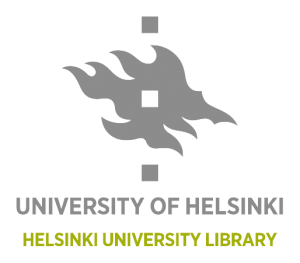 Helsinki University Library is the largest multidisciplinary university library in Finland, which offers information and library services in the fields of science of four campuses. Helsinki University Library includes the campus libraries of the City Centre, Kumpula, Meilahti and Viikki Campuses. The library is an independent institute of the university and open to all information seekers. TaSTI Research Centre for Knowledge, Science, Technology and Innovation Studies studies knowledge, science, technology and innovations as central processes and structures in contemporary societies, because in societies that value knowledge, scientific expertise, new technologies and innovations, their people, organisations and institutions always intertwine. TaSTI has an extensive collaboration network both locally, nationally and internationally.